When Dave Bakewell and Peter Kennerley published an article on Surfbirds called “Malaysia’s Mystery Plover” back in December 2007, it caused quite a stir in the birding community. 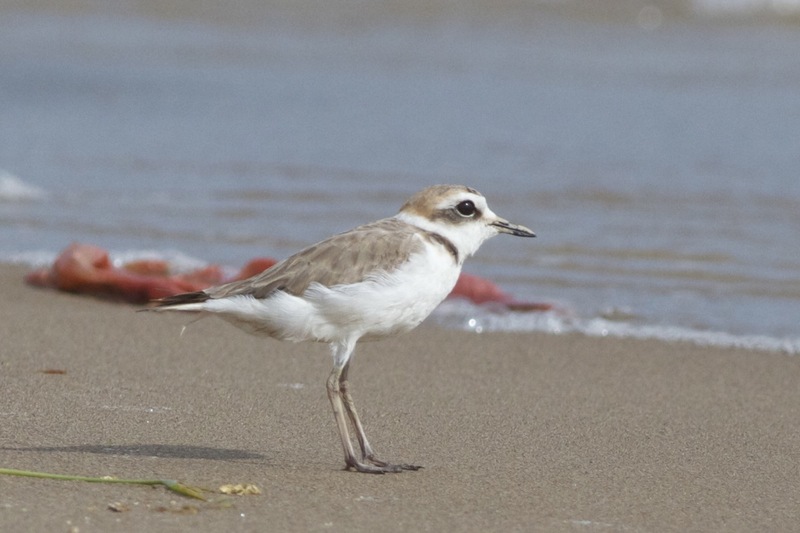 Was it really possible that a small plover, not described in any modern literature, was living on the beaches of southeast Asia? 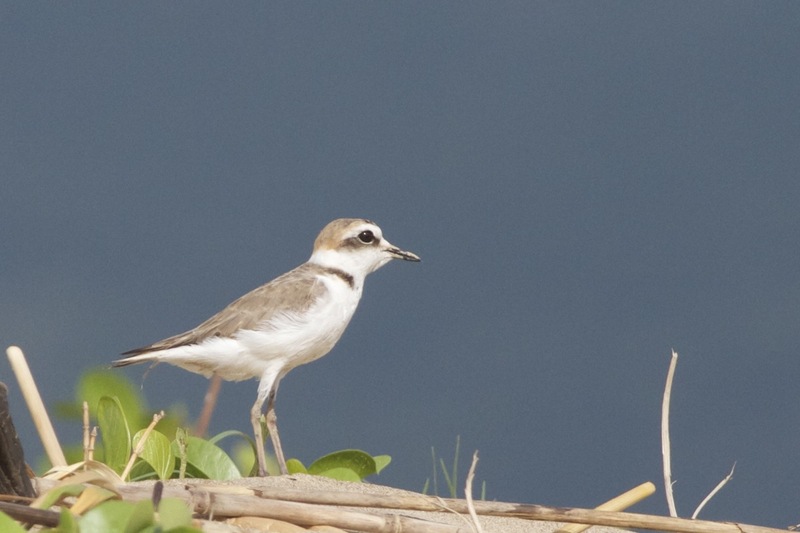 The so-called “White-faced Plover” (Charadrius alexandrinus dealbatus) was first described as distinct from Kentish Plover (Charadrius alexandrinus) by the great ornithologist, Robert Swinhoe, in 1870, hence the preferred usage of the name “Swinhoe’s Plover” (used in this post). 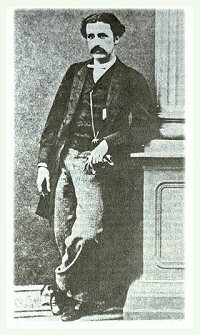 The great Robert Swinhoe (1836-1877). This photo was taken in 1863. Considering this form had been ‘lost’ for many decades, Dave and Peter did an exceptional job in picking out these birds, studying them and communicating their findings to the wider birding community, causing much renewed interest in these charismatic birds and speculation that they may deserve full species status. At the time, only wintering birds had been seen and, although some of these birds attained breeding plumage on the study grounds in Singapore and Malaysia, they soon disappeared in Spring and there was only speculation as to where the breeding grounds might be. 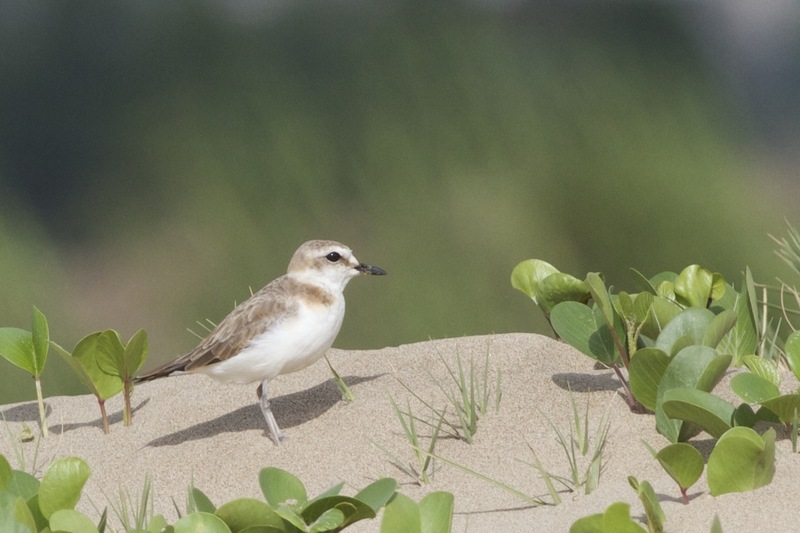 Following publication of Dave and Peter’s article, Chinese/HK birders reported breeding Swinhoe’s Plovers on the beaches of Fujian Province in 2008. Later, one of my friends and fellow China-based British birder, Brian Jones, moved from Beijing to Shenzhen in 2011 and soon began to explore the coast nearby. 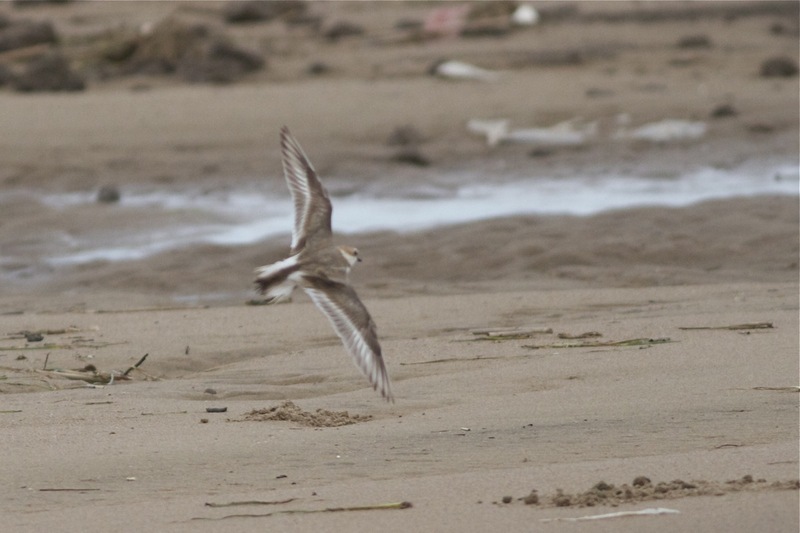 It wasn’t long before Brian discovered some ‘strange Kentish Plovers’ breeding on sandy beaches at Dahu, Haifeng. 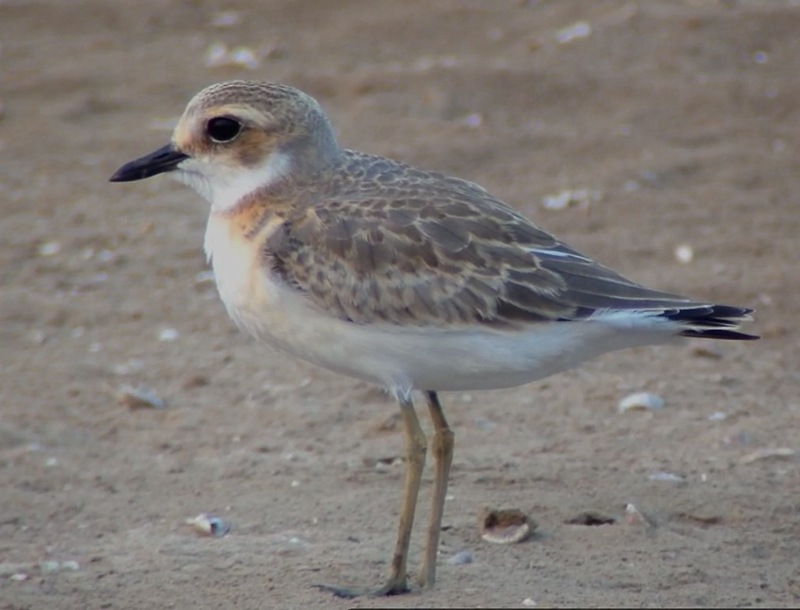 Having taken some images, Dave and Peter soon confirmed that Brian had stumbled on a breeding site for Swinhoe’s Plover on China’s southern coast.. On just two beaches, Brian found around 270 of these ‘rediscovered’ birds, many with young. They have since been found at several sites in southern and southeastern China, and are now known to breed from Hainan to Fujian Province. 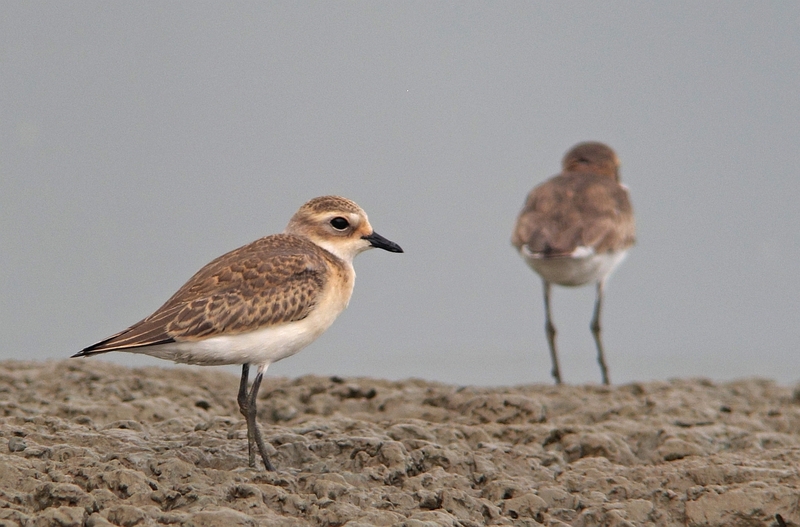 Swinhoe’s Plover (male), near Fuzhou, Fujian Province, July 2012. Note the pale lores, pale legs and the ‘milky tea’ colour of the upperparts. Swinhoe’s Plover (worn male). Note the extensive white on the inner primaries. Swinhoe’s Plover (worn male). Note the extensive white in the tail and the relatively prominent wingbar. 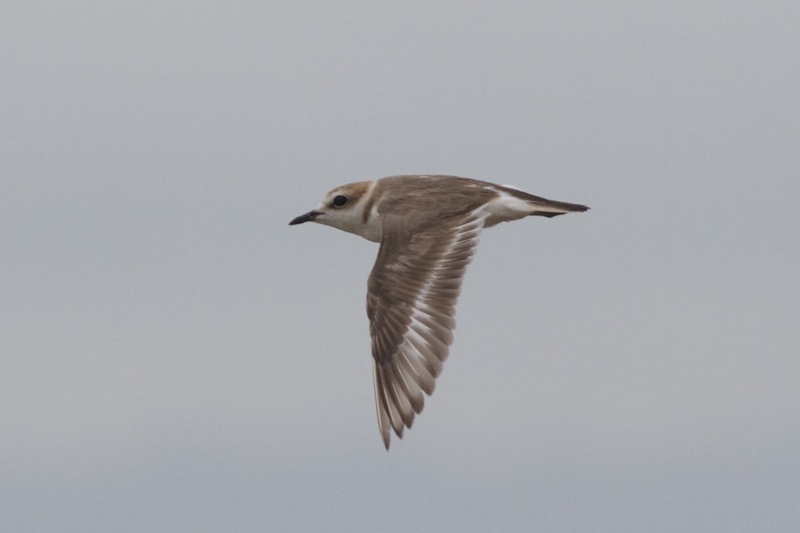 In short, initial research suggests that “Swinhoe’s Plover” is probably a subspecies of Kentish Plover. However, further research is ongoing. This spring and summer Jonathan Martinez, in collaboration with Professor Fasheng Zou from the South China Endangered Animals Institute, has been ringing, colour-flagging and taking blood samples from birds on China’s southern coast. Analysis of the DNA taken from these live birds is expected soon, although it is unlikely to return different results. Here are some images of one of the birds being colour-flagged. If you see any of these birds this autumn/winter, Jonathan would be delighted to hear from you and can be contacted via this blog. 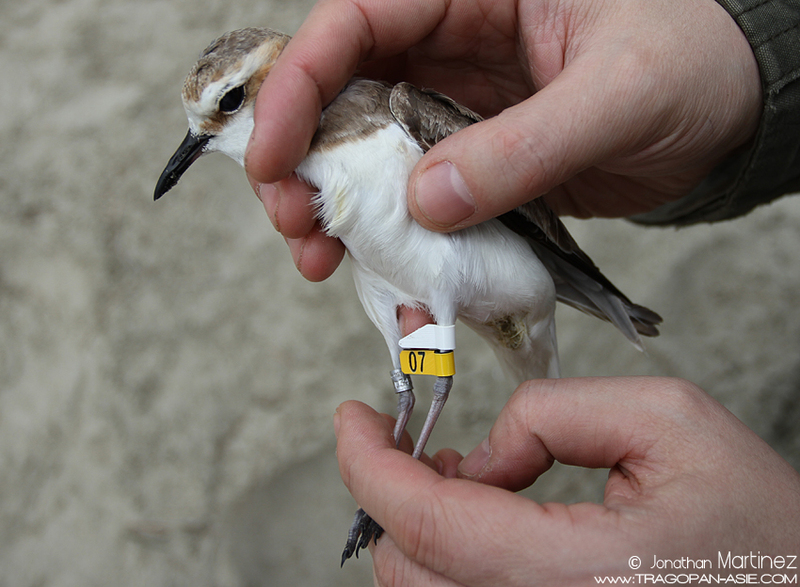 One of the Swinhoe’s Plovers colour-flagged by Jonathan Martinez and Professor Fasheng Zou. 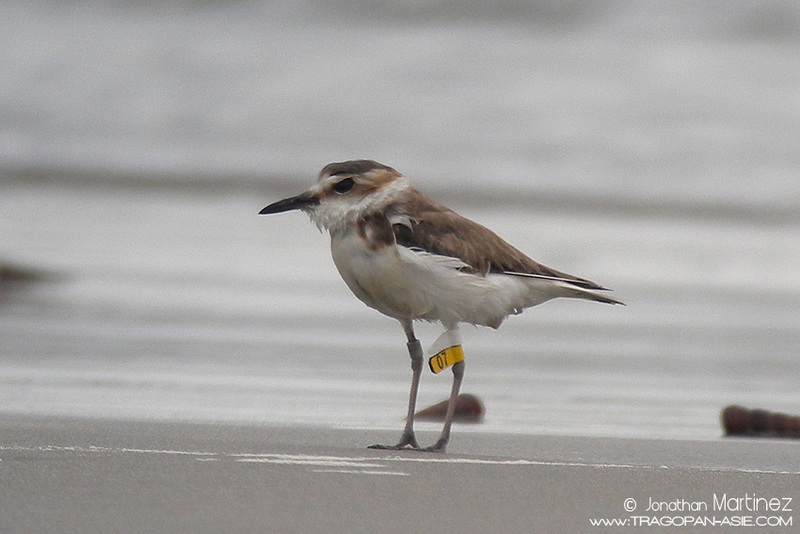 If you are in East/Southeast Asia this autumn/winter, look out for flagged birds! The same bird in the field, Guangdong Province, China. To me, it matters little whether or not the Swinhoe’s Plover is a species or a subspecies.. it is a beautiful and charismatic bird that is a joy to watch. It is clearly very limited in its distribution and it must, therefore, be (another!) priority for conservation. Many thanks to Dave Bakewell, Peter Kennerley, Jonathan Martinez and Brian Jones for providing information and images included in this blog post.